In a horrifying case, a 75-year-old man from Florida was killed after he was attacked by a large and extremely dangerous flightless bird he owned. He raised the animal on his farm, along with other exotic birds. This bird is a cassowary - an enormous, flightless bird around which even experienced zookeepers take precautions. According to BBC, the man identified as Marvin Hajos, owned the farm where the bird was located and the incident took place. 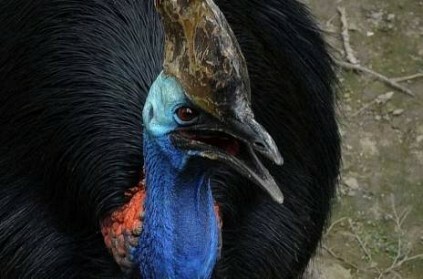 It appears that the man who was killed raised the birds and was injured after falling in a path near the Cassowary enclosure. Emergency medical workers responded to a call about 10:00 a.m. Hajos fell and the bird attacked him, injuring him severely. He was transported to the hospital, where he died. Authorities are investigating the circumstances that led to his death. Soon after the incident, the bird has been secured under police authorities. The incident is currently being investigated by the Florida Fish and Wildlife Commission and the local Sheriff's Department. Meanwhile, the (FWC) identifies cassowaries as "Class II Wildlife," which can "pose a danger to people." The commission requires a permit for the sale, public exhibition, or possession of these animals. The cassowary are a relative of ostriches, emus and rheas. What makes them dangerous are their feet. Three toes have pointed nails, the most dangerous of which is the middle, which ends in a veritable dagger several inches long. They can run as fast as 30 miles per hour and can grow as large as six feet tall. The animal is native to tropical forests in New Guinea and can be found in Australia, as well. This page contains news relating to various facts and events. The views are generally about current affiars and general topics in diversified areas such as political, international, national, and regional issues, sports, health, travel, lifestyle, technology and business. People having similar interets on the above topics will find this page useful. Man in Florida Killed By a Dangerous Bird that He Kept On His Farm | World News.